What a crafty Sunday. 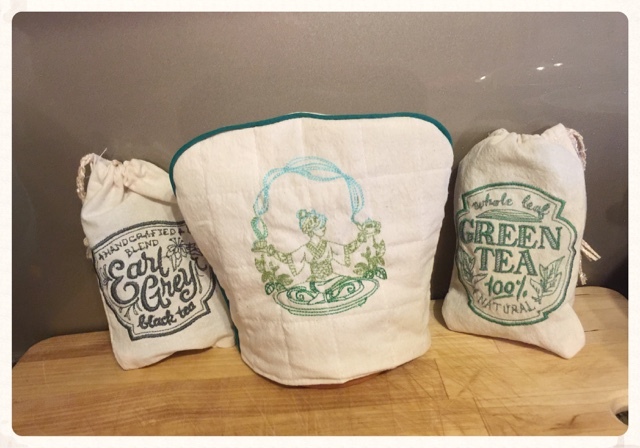 I'm so excited to show you my new cotton tea bags and a warmer of Tea Goddess. All made of 100% cotton with Bamboo braided yarn.